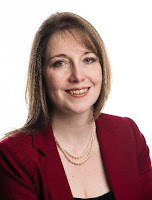 Banff & Buchan MP Eilidh Whiteford has welcomed a poll showing support for the SNP remains at over 50 per cent on the constituency and list votes – and that support for independence is now at 55 per cent when Don’t Knows are removed. The Mori poll for STV shows support for the SNP is 35 points ahead of Labour on the constituency vote and 30 points ahead on the regional list vote. On independence, 53 per cent of those polled said they would vote Yes, compared to 44 per cent who would vote No and just 3 per cent who did not know. The poll comes a day after the First Minister Nicola Sturgeon announced the SNP’s Programme for Government (PfG) – which sets out how the SNP will build on our record of delivery over the last eight years if re-elected in 2016. The PfG was welcomed as a ‘bold, ambitious and progressive’ vision for a stronger Scotland, putting education at the heart of the Scottish Government’s efforts to make Scotland a fairer country. The poll showed strong support on key policy areas – 48 per cent said the SNP had the best policies on NHS and Health, on Education the rating was 49 per cent, and on crime and anti-social behaviour the rating was 40 per cent. Nicola Sturgeon remains the most popular leader, with a net approval rating of 48 per cent – compared to minus 40 per cent for David Cameron. “This is a sensational poll for the SNP – it shows not only that people across Scotland support us in huge and growing numbers eight years into government, but that they believe we have a strong record on key issues like health and education. “But we can take absolutely nothing for granted. In the coming months we will be working harder than ever to retain the trust of the people of Scotland. “The SNP in government has a record to be proud of – and yesterday’s Programme for Government made clear that if re-elected in 2016 we will continue to build on that record, making Scotland the fairer, more prosperous country we all want to see. “Since coming to office in 2007 we have delivered progress – despite unprecedented Tory cuts to Scotland’s budget. We have frozen council tax, protected free higher education, cut NHS waiting times, reformed our colleges, introduced curriculum for excellence, protected police numbers and secured the highest levels of youth employment since 2005 and the second highest female employment in the EU. "It is welcome to see support for independence now stands at over 50 per cent, as people see the SNP in government and at Westminster stand up for Scotland while the Tories press on with relentless cuts that hit the poorest hardest while proposing to spend billions on a new generation of nuclear weapons on the Clyde. We warned the Tories that support for independence would only grow if they continued to ignore Scotland’s voice - and this poll proves that, as people question Westminster's ability to represent Scotland's interests at all. "Almost a year on from the referendum, its legacy lives on as Scotland remains politically energised and engaged. We must harness that energy and use it to tackle the big social and economic issues of our times."